Golden Coast / News & Offers / Sales & Marketing / Blog / Ideal customer? 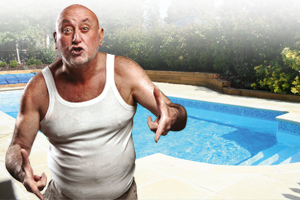 Starting pool service for a new customer involves liability risks beyond what’s normally encountered with an existing customer. This risk can be minimized by recognizing problems and dealing with them early in the relationship. Here are some areas to consider when taking on a new client. Do I Want to do Business With This customer? It’s said that 90% of complaints come from 10% of customers. Some people, it seems are just impossible to please. Imagine the reduction in liability exposure if you could identify difficult customers in advance and avoid doing business with them. I recall my first year as a young attorney. I had a great corner office on the top floor and a wall full of empty file cabinets. One day, a woman came to see me seeking legal representation. When I asked about the nature of her problem, she told me she had just fired the second lawyer on her case. She explained that her first lawyer was incompetent and the second one was . . .